The One Spirit project has enjoyed continued success over the last 12 months delivering its 10th year of music based and resettlement focused projects across 3 institutions: HMYOI Feltham (A & B Side), HMYOI Cookham Wood and HMP Highdown, as well as in communities around Greater and Central London. With a monthly presence in all three institutions One Spirit has engaged 177 young people over the course of the year in its weeklong RESIDENCY projects, 1to1 IN-CUSTODY MENTORING sessions or 1to1 THROUGH THE GATE MENTORING sessions in the community post release. Of the 177 young people who participated 51 have accessed one or more strands of the project. 5 young people have been released during the year and accessed our Through the Gate program, making the number of those currently working with One Spirit in the community 37. From evidence and feedback collected from participants: 92% said they felt more confident; 92% felt better about the future; 63% felt more able to manage anger/frustration and 58% said they felt more motivated as a result of participating. An external evaluation has been carried out over the year by Dr Anthony Gunter (Senior Lecturer Criminology UEL) for which he has observed One Spirit in residency at Cookham Wood and Feltham and working in the community in London and the South East. The report analyses the data collected and outcomes observed during the period but more importantly aims to tell ‘the story behind the data’, with first hand observations, direct feedback and interviews supporting and explaining the figures and ultimately telling ‘how and why One Spirit works’. One Spirit ‘through the gate’ has worked with a total of 37 young people and young adults over the course of the last year. 13 young people are accessing the programme at least once a month, engaged in activities from making/recording music to getting help from One Spirit to set up their own business or more generally search for jobs or prepare for interviews. Just under half of the 37 are more occasional attendees on the programme, making contact, for example, for specific advice regarding a recording contract (in one case), setting up a limited company (in another) or just to catch up. One Spirit mentors have also helped several young men recently released to prepare for and access apprenticeship programs in construction and catering/hospitality. Predictable, but nevertheless interesting to observe is how much more mature participants become around the age of 19/20. The reoffending rate amongst the through the gate group of 37 young men is 10%. 33 out of 37 have stayed out of custody for 6 months or more, with 25 out of custody for longer than 12 months. Of the 4 young men who were recalled to custody 2 were 17, 1 was 18 and 1 was 21. 58% of those accessing the Through the Gate programme are in employment and 29% are in further education / training. 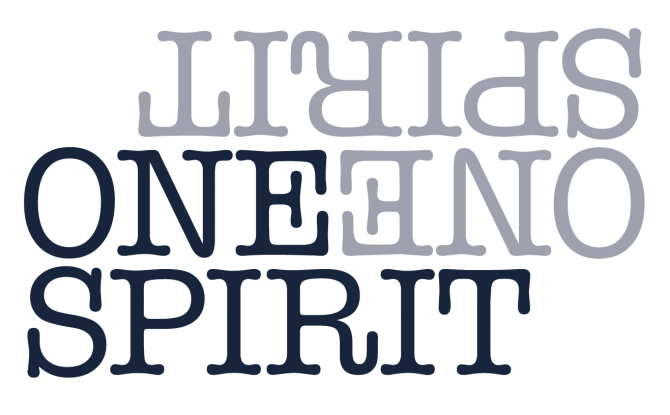 Going into 2019 One Spirit will continue its work in all 3 prisons with some exciting developments. At HMYOI Cookham Wood we will explore working more with prisoners accessing ROTL (Release on Temporary Licence) in a bid to create ever more consistency for young people during their transition from custody to community. Demand across the prison has grown in general throughout the year and One Spirit and Cookham Wood are looking at various ways to increase access to the programme in the prison during 2019. 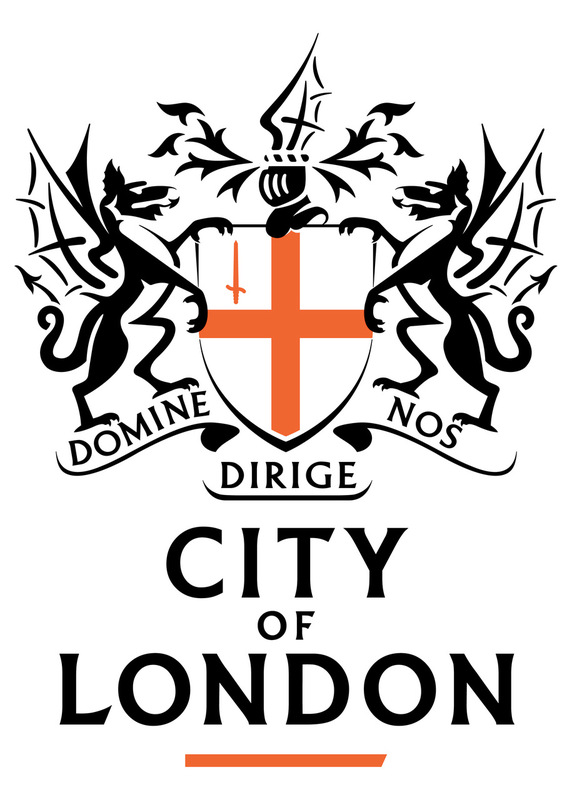 At HMYOI Feltham B Side One Spirit will develop its mentoring programme in a new bespoke space on Education B Side, working with the Learning and Skills department to consolidate and lend specialisation to the Employment and Resettlement offering. “I was transfixed with how one of the young men was connecting with the HMDT tutor. There are many females working here, so the fact that the HMDT tutor was a man and spoke the lingo was really good. The HMDT team had the young men focused and engaged for the entire session. In the team meeting I spoke about how impressed I was with the One Spirit project and the work HMDT were doing with the young men.” Female Staff Tutor HMYOI Cookham Wood. Our first National Commemoration Days were launched in 4 schools to 1000 children. 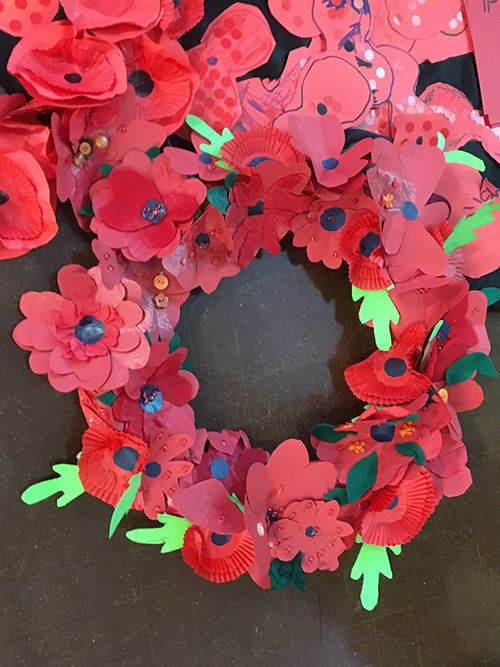 Students participated in art workshops, learning First World War songs, meeting an Indian Soldier costumed interpreter and exploring artefacts. 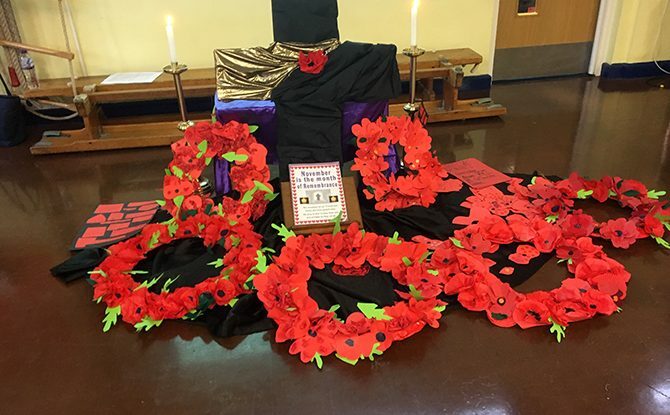 The days culminated in moving commemoration services bringing together all the activities from the day including laying poppy wreaths and placing newly made medals onto barbed wire in remembrance alongside army drill and songs. The best day in Year 5! I was looking forward to it all week but it was even better than I thought it would be! 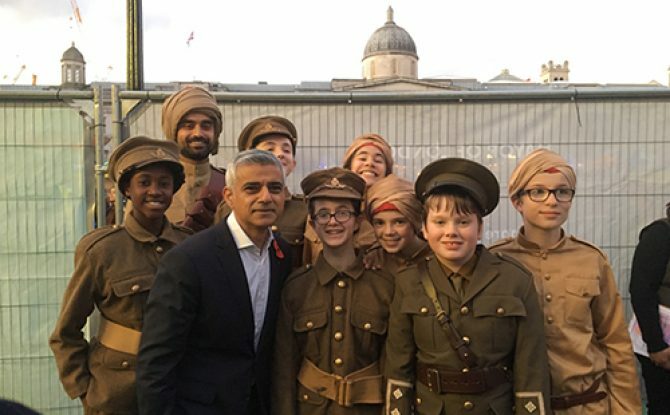 This was a truly incredible and moving performance that serves as a fitting tribute to the soldiers whose stories are too often left out of the narrative of the war. 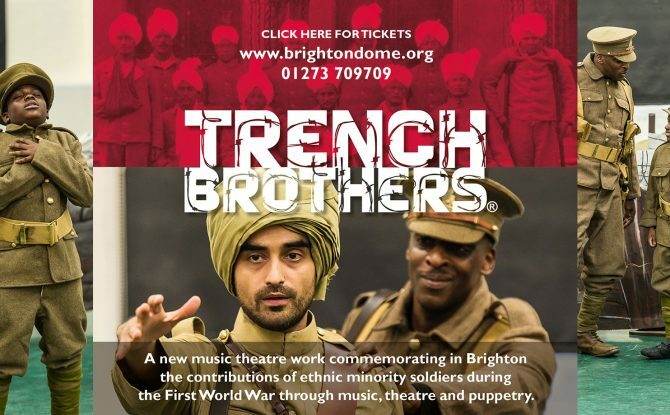 On the 17 October 2018 HMDT Music’s Trench Brothers was performed to great acclaim, at Brighton Dome to audiences of around 1,500 people. The finale of four year’s work around the country, it brought together songs written with schools in London, Lancashire and the South East in a unique collaboration of musical genres alongside the core music theatre work by composers Julian Joseph and Richard Taylor set to a libretto by our Creative Director Tertia Sefton-Green. It was performed by children from 7 local schools, Seniors from our own I Can Sing! programme and top artists Cleveland Watkiss, Damian Thantrey and Richard Sumitro accompanied by students from our Julian Joseph Jazz Academy, our CYMH tutors and the Jasdeep Singh Degun Indian Sitar and Tabla duo. 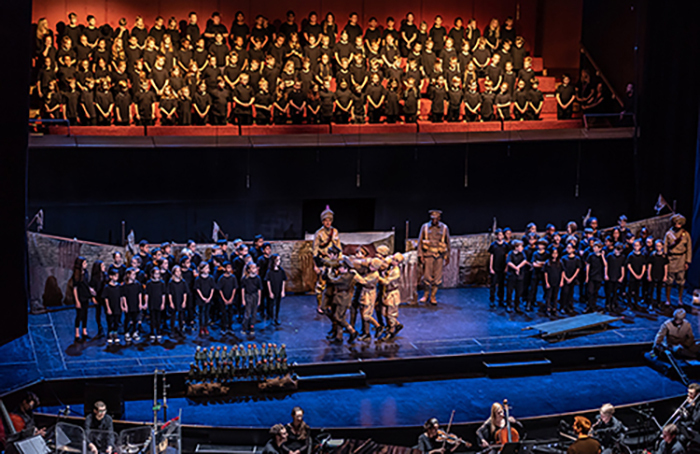 Tertia Sefton-Green’s libretto masterfully engages its adult audience while ensuring that the content remains accessible and understandable to the young people taking part. Julian Joseph and Richard Taylor’s music help to elevate the performance into something wonderful to experience – each character’s culture is reflected in their music and it is a joy to hear different genres and influences being woven together to reinforce the narrative’s themes of camaraderie. An affecting music theatre work……. ‘letters home’ …. have all the poignancy, humour, sadness, bitterness and gritty historical detail that you would expect. 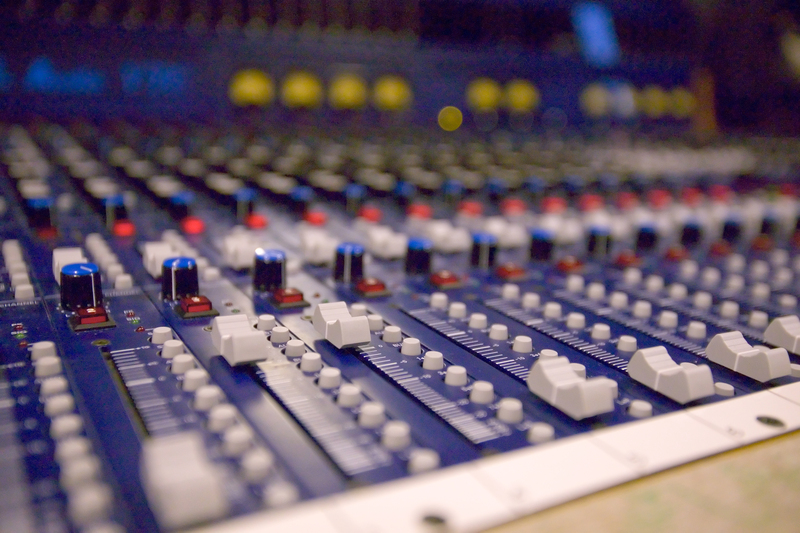 HMDT Music have form for taking on projects with big themes. Come and join HMDT Music for a one-off I Can Sing! Taster on Saturday 22 September, and experience the excitement of music theatre, led by our fantastic team of professional artists. The taster students are invited to join the first session of the term (22 September) with our I Can Sing! Groups according to their school year. Spaces are limited so make your application now. We will get back to you ASAP to confirm your place. The taster session costs £20.00 – payable when you accept your place. If you sign up for the term the taster fee will be deducted from the first term’s fee! For more detailed information about the course, click HERE. The full four-day course costs £199.00 – payable when you accept the place. Discounted fees £179.00 available for students who attend Bridge Academy, the Jazz Blues Course or the Julian Joseph Jazz Academy. Come and join us for a special four-day course focusing on the music and styles of Duke Ellington and Count Basie. Students will learn the rich history behind the music; gain experience playing as part of a large jazz ensemble; build confidence reading Big Band charts and meet like-minded musicians in the process. The four days will culminate with a relaxed performance for all friends and family. 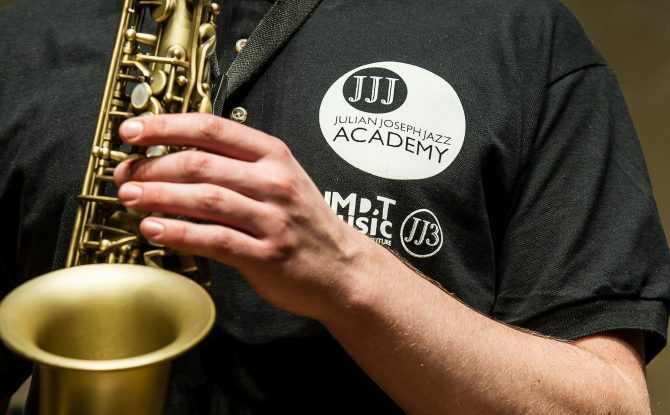 The course will be at the home of JJJA, Bridge Academy, E2 8BA, and is specifically for sax, trumpet, trombone and rhythm section players (approx. grade 5 +, no audition required) though places are limited (especially for rhythm section players), so book now to reserve a place and avoid disappointment. The full four-day course costs £179.00 – payable when you accept the place. Discounted fees £159.00 available for students who attend Bridge Academy, the Jazz Blues Course or the Julian Joseph Jazz Academy. APPLY BELOW NOW WHILE PLACES STILL REMAIN! Tickets are available through the BRIGHTON DOME and cost £12. 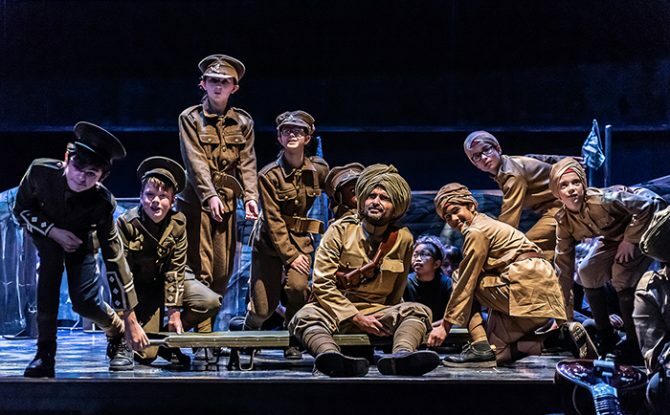 A new music theatre work commemorating the contributions of ethnic minority soldiers during the First World War through music, theatre and puppetry, bringing to life their hopes and fears, their longing for home, their camaraderie, courage and valour. 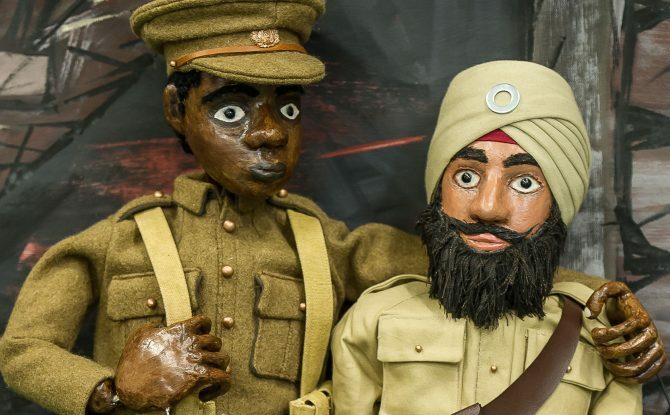 The Trench Brothers Exhibition will be at Newhaven Fort from 4 August to 5 November offering a creative response to the untold stories of ethnic minority soldiers in the First World War. For more information on the interactive exhibition, please see our EXHIBITION PAGE. Trench Brothers was created with support from Heritage Lottery Fund. Trench Brothers visits the National Memorial Arboretum as part of the Lichfield Festival! FREE : Pre-booking required through the NMA website. 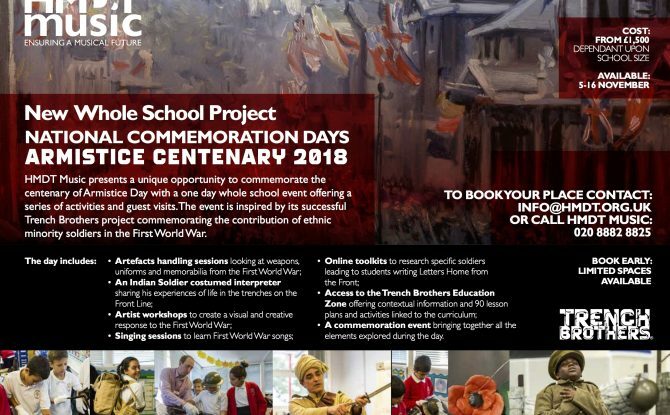 Performed in National Memorial Arboretum’s unique outdoor setting of remembrance, this inspiring and moving performance features MOBO nominated jazz singer Cleveland Watkiss, opera singer Damian Thantrey, puppetry and 120 local school children. Trench Brothers also has a temporary exhibition at the NMA which is also FREE to visit – for more information please see our EXHIBITION PAGE. Weavers Academy opened Creative Education Trust’s double Days of Shakespeare with Richard III; the drama and background narrative cleverly integrated in three ingenious twisting frames and several excellent performances: villainy never looked so good. Lynn Grove’s Romeo and Juliet proceeded from comedy to sorrow with elegance and charm. Caister’s As You Like it closed the first day; this complex tale of exile and disguise brought into relief by the students’ confident and energetic use of the stage. 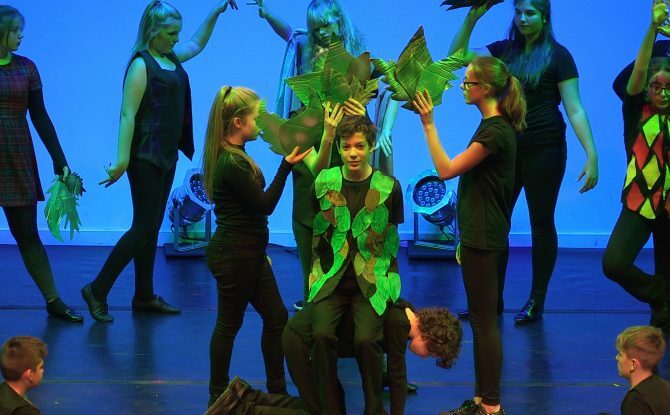 As the company of actors transformed themselves with props and sound and movement into the forest of Arden, a memorable image was created for everyone in Abbeyfield’s auditorium. Abbeyfield themselves opened the second day with Julius Caesar; grand and classical in its themes of republican power and politics, but with an undertow of moral complexity and decadence. The exemplary diction of the sixth form actors was an inspiration to younger players in the audience. Thistley Hough re-cast Twelfth Night in the campsite of a rained-out music festival, Count Orsino importuning music, the food of love, to his iPhone while Olivia scowled at hers. Ash Green’s Macbeth drew outstanding performances by the leads, supported by a confident cast of witches and men. The Hart School’s Much Ado About Nothing reminded us that we were watching human fauna at play in pursuit of love, as an anoraked cast of birdwatchers returned iteratively to their binoculars. 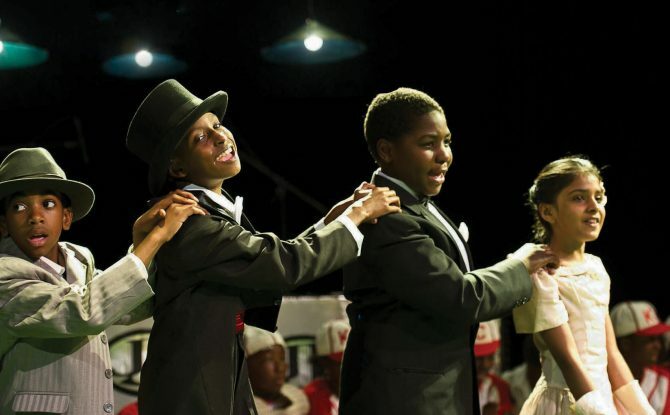 The Days of Shakespeare was devised for Creative Education Trust by HMDT Music four years ago and includes early interventions on text and design by the Royal Shakespeare Company’s Michael Corbidge and the designer Mark Friend. They have become treasured opportunities to perform some of the greatest works in English literature and design an absorbing visual spectacle. Most importantly, it is a chance for students to see what other schools in the trust have done and to witness their own creativity and skill in a wider perspective. 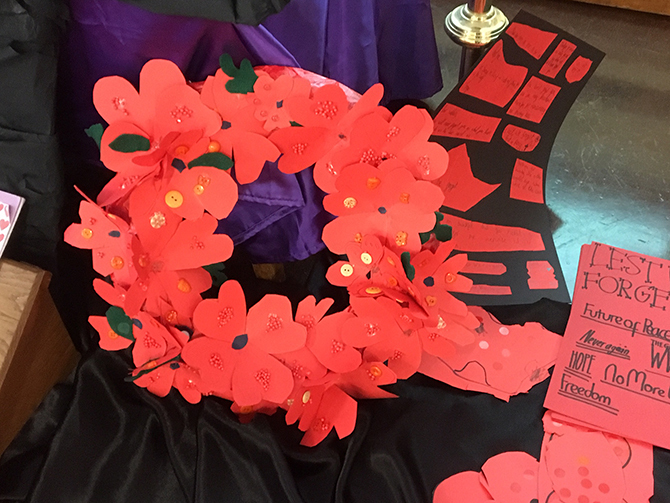 Congratulations to the actors, designers and directors and an especial thank you to Richard Walker-Glen and his technical team at Abbeyfield School.